In the Maverick Trail division, we all love trails and therefore find ourselves in a head of heels, can’t stop thinking about you, weak at knees relationship with Trail Running. We love the excitement, the adventure, the challenge, the unexpected, the isolation and the friendships that come with the relationship. 2017 was a year overflowing with all these things which further cemented the giddy, butterflies in tummy type of love we have for our sport. Between the 8 of us (Alex, Bajan, Bambi, Becky, Chamois, Julia, Spencer and Svenja) we clocked up 1000km at Maverick races alone. In addition to the 46 Maverick Medals we share between us from 2017, we ran in some of the world’s most famous; Marathons (London, Berlin, Scott Snowdonia, Mont Blanc) and Ultra running events (UTMB, Ultimate Trail 110, South Downs Way 100). We had enormous personal victories; Alex now holds the record for the Dorset coastal series Marathon, Bajan completed the UTMB OCC finishing as 6th Brit, Bambi came home first lady in the Maverick Snowdon Marathon, Becky came second in the UK Obstacle Course racing league, Chamois was victorious in the South Downs Way 100, Julia was the 3rd placed lady in the mass start of the London Marathon with a time of 2hours 39mins, Spencer successfully smashed the UTMB CCC his greatest challenge yet, and Svenja placed third in the 56km notorious Monshau ultra Marathon. It is easy to feel that these victories are the only possible outcome of the time, dedication and love we put into our Trail running. These successes are testament to the fact that when we think our legs and bodies are broken we push on with a fearless heart. As surely Trail love is a straightforward relationship where what you put into it is exactly what you get in return. We run hard, train hard and fuel ourselves with peanut butter and therefore the Trails reward us with being able to complete challenges far beyond our expectations. However, the relationship between runner and running has the ability to be cruel, demanding and heart-breaking. Running is a punishing mistress that has the ability to kick you whilst your down and say, ‘actually it’s not me, it’s you’. This year we have all certainly experienced our share of heartaches that are just as important to document as the triumphs. Alex, Bambi, Julia and Svenja have all experienced several months of injury, Becky only narrowly missed the UK OCR league victory on one of the final obstacles, Chamois was unable to complete his UTMB attempt and Spencer just missed out on his sub 3 hour London Marathon. 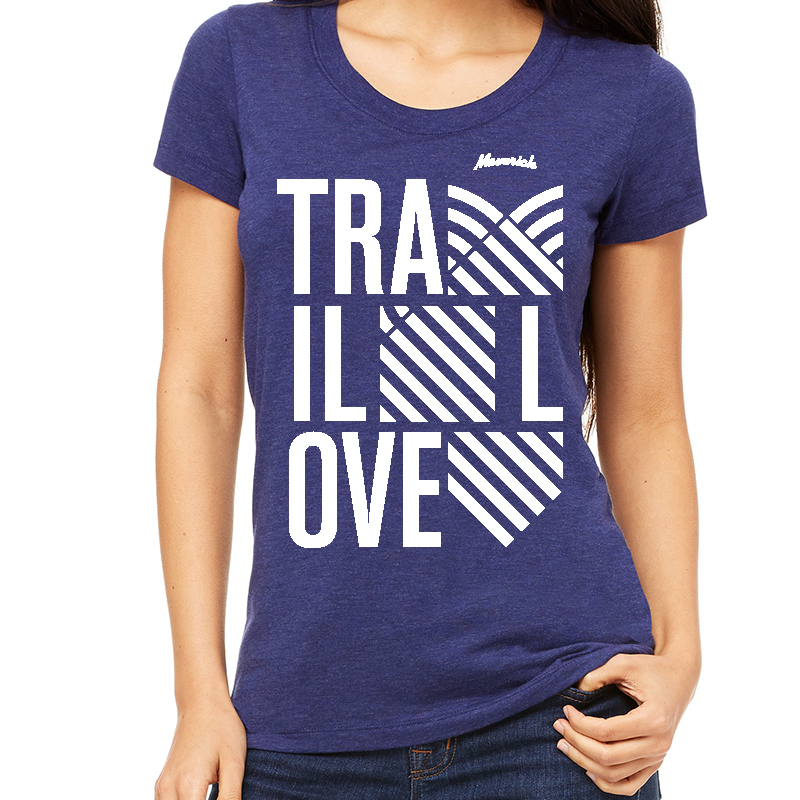 It is through these events that we have found that our Trail Love is unconditional. Despite the obstacles, brutality and potential despondence we are all brave enough to continue dedicating our time and energy to putting ourselves on a start line knowing that we open ourselves up to hurt. Maybe this relationship with Trail Running has made us all slightly subservient, sadistic and quick to say, ‘go on do it again’. Or maybe the relationship with Trail Running has made us increasingly resilient, courageous and determined? In truth, it is probably a bit of both, which is why next year promises to be the toughest but most rewarding yet. We are all lining up at the start line of 2018 with so much planned; Alex is targeting a sub 2 hour 30min time in the London Marathon, Bajan is looking to complete the UTMB TDS in August, Bambi is hoping to explore the UK on foot starting with Running round the Isle of Wight, Becky is aiming for a top 10 finish in the European OCR Championships, Chamois is taking on the 100mile Tarawera Ultra in New Zealand, Julia is going for a sub 2 hour 35 min run in the London Marathon, Spencer hopes to implement a national ‘wear your trucker hat’ day and live a bananut (banana and nut) existence and Svenja hopes to do the Endurance challenge in California. So, here’s to the year ahead. We will work hard for all the euphoric highs that come with being in Love, we will run in the most beautiful parts of the world knowing that it is a privilege, we will forgive the Trails if they hurt us and we will get up and run again if they do. So, here’s to the year ahead and Trail Love to all.